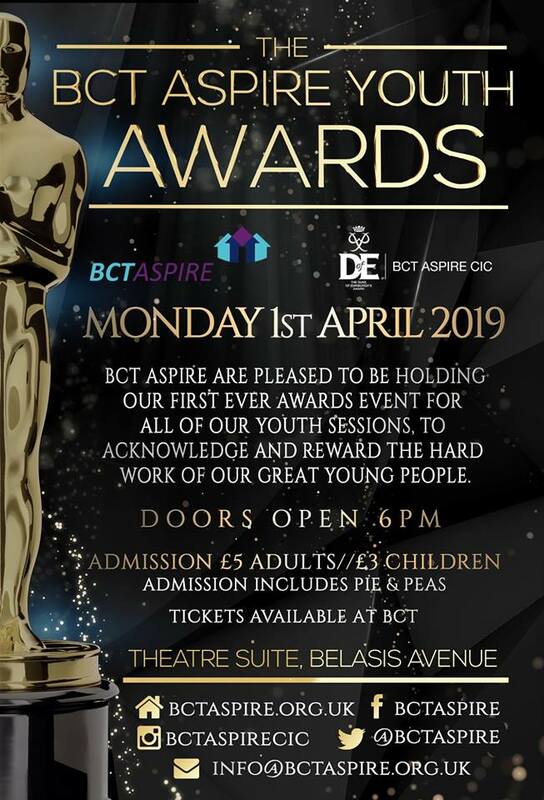 Tickets are not available for our very own Youth Awards – tickets are now available at BCT Den. Awards will be presented to Children, Young Volunteers and Volunteers from across all of the the sessions at BCT. Whether you attend B-Active, Youth Clubs, Music lessons, DofE or recently participated in our recent fundraising week, you could be up for an award.